Read on for more about the negative impact of these terms. See also: “Food Evolution”: New GMO technology even worse than Roundup-resistance and How much glyphosate is in your body? Hybridization is a natural process when the male and female with different characteristics breed to produce offspring that have a specific mixture of characteristics from each parent; while this does happen on its own in nature (apples are a perfect example of this), it can also be done in a controlled laboratory in the hope of coming up with the perfect mix of characteristics. Genetic or bio-engineering (creation of a GMO) would not happen on its own in nature, but rather must be done in a controlled laboratory by forcing genetic crosses between species that could not breed in nature. One method involves micro-surgery at the cellular level, removing part of the native genetic material from a chromosome, and replacing it with genetic material from another individual or even another species! For example, genes from a fish inserted into the genes of a banana, as comically illustrated in the Frankenfood image, above. Another method even more scary involves digitally changing the coding of the DNA. A prime example of genetic engineering is Roundup-Ready seeds. These GMO crops are engineered to survive spraying by Roundup, whose main ingredient, glyphosate, kills weeds and other species growing in the sprayed area. These GMOs were created when a weed was discovered to be resistant to Roundup. Scientists determine which part of the weed’s genes were responsible for this resistance, then inserted that specific DNA into the DNA of the desired crop, for example, corn. And voila! the crop became resistant to the killing effects of Roundup, while weeds that crop up in the cornfield become sick and die. But this doesn’t mean the corn wears a raincoat that keeps it from absorbing the poisonous Roundup. No. It means the corn takes up the Roundup into its system without succumbing directly to the poison. Then, when you eat the corn (or products like cornmeal and cornstarch made from the corn), you ingest the poison. And you also ingest the genetic makeup that allowed this resistance. Who knows what horrors can result from this? Any creature – including humans – that eats the sprayed crop, or another creature that eats the sprayed crop, will be negatively affected by the glyphosate in Roundup. To complicate this further, over time, the sprayed crop and future crops grown in the same soil, will be negatively affected by the glyphosate in Roundup because glyphosate is a patented antibiotic. That means that it kills the important soil microbiome that otherwise helps the plant to take up nutrients from the soil, a condition called “root-rot.” When sprayed on a crop, it not only affects the health of that crop but also that of future crops, and of any person or other creature that eats the crop. It is a primary cause of gut health issues in humans. 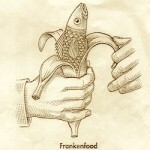 “Food Evolution”: New GMO technology even worse than Roundup-resistance for more on this and other, newer issues. How much glyphosate is in your body? for information on tests to determine glyphosate levels in your or your child’s body, or in your water. This entry was posted on Saturday, May 19th, 2018 at 12:38 pm and is filed under Food-Nutrition-Health, GMO, Health. You can follow any responses to this entry through the RSS 2.0 feed. Responses are currently closed, but you can trackback from your own site.